Battery SUV is third I.D. concept. Volkswagen's third concept vehicle in the I.D. EV line-up is the I.D. Crozz. The ute could be VW's first EV entry into China. Volkswagen has pulled the wraps off the third of its I.D. battery-car concept vehicles, offering a hint of what might be in store when it launches its first electric vehicle in China later this year. 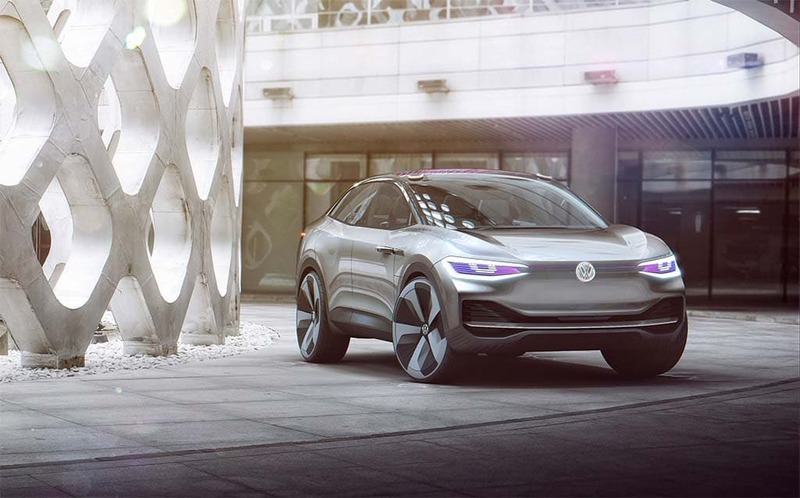 VW brand boss Herbert Diess has already promised to put 30 battery models into production by 2025, and many of them are expected to carry the new I.D. sub-brand badge. The German automaker is largely shifting from diesel to battery power in the wake of its emissions scandal. But it is also facing pressure from governments around the world – China, in particular – to adopt new zero-emissions technologies. 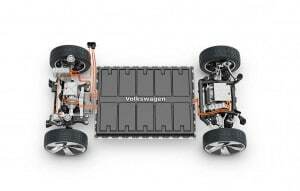 So far, VW isn’t saying which battery model will be launched in China this year. It is likely that it will go with an existing product, such as the e-Golf. But Diess is suggesting that the new I.D. Crozz is being viewed as more than just a concept, with the battery-SUV likely to reach showrooms no later than 2020. How fast it actually makes it into production may depend on what Chinese regulators decide to do with their current battery-car regulations. The government has been under pressure to relax current rules that the industry feels are too aggressive. “The rules look like they are being revised,” VW China CEO Jochem Heizmann said ahead of the opening of the Shanghai Motor Show. 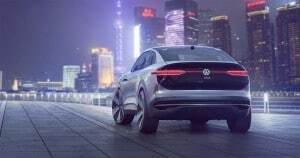 But automakers like Volkswagen say they may be forced to move quickly into the Chinese market with at least EVs if the revisions don’t come soon. The I.D. Crozz has a potential range of 311 miles, if driven conservatively. With its coupe-like crossover body, VW is describing the new I.D. Crozz as a “key pillar” of its new electrification strategy. The electrified ute draws power from an 83 kilowatt-hour lithium-ion battery pack mounted in the vehicle’s floor, a move meant to lower its center of gravity and free up space for passengers and cargo. The battery pack is paired with two electric motors. The one in the rear produces 201 horsepower, with the motor on the front axle producing an additional 101 horsepower. Together, VW says the pair of motors can launch the I.D. Crozz from 0 to 60 in less than 6 seconds, with a top speed of 112 mph. Driven less aggressively, range is estimated at 311 miles using the New European Driving Cycle test. The tougher EPA standard would likely drop that number by about 25%. To put it into context, VW says the I.D. Crozz boasts about the same interior space as the all-new 2018 Tiguan. It is loaded with high-tech features including a head-up display, a reconfigurable “Active Info” display, a tablet-like control system for its infotainment package and the new I.D. Pilot autonomous driving system. LIDAR scanners on the corners of the roof, paired with cameras and radar, allow the four-seat I.D. Crozz to go fully autonomous. To create more interior space, VW uses the floor to house the batteries that power the I.D. Crozz. When the I.D. Crozz is shut off, its headlights appear to looks like “its eyes are closed.” When the vehicle starts, it triggers a 360-degree “light show,” the maker adds, while also noting that the vehicle interacts with pedestrians and other motorists when operating in autonomous mode. This entry was posted on Tuesday, April 18th, 2017 at and is filed under Automobiles. You can follow any responses to this entry through the RSS 2.0 feed. Both comments and pings are currently closed.